← Is the First Impression the One That Really Counts? 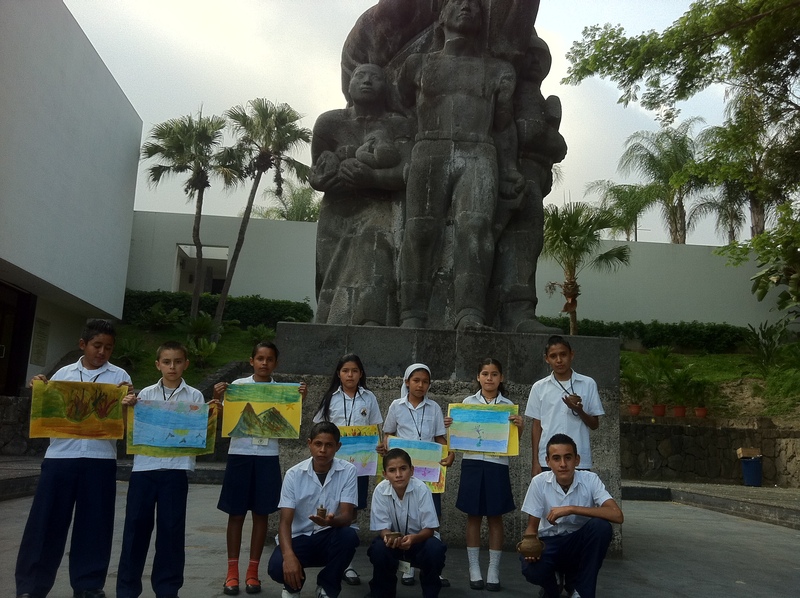 On Saturday April 14, 10 children from our CAFRED supported schools received their first scholarship to attend art classes at MARTE Museum from April through July of the present year. This effort will help us to continue to develop education alternatives in the rural areas that CAFRED serves. We at CAFRED and School Director, David Vasquez Santos decided to choose this group of students based on the basis of a contest and not on grades. All the kids had to make their own artistic creation and the top 10 entries were chosen to show a diverse set of skills, behavior and realities. During the coming workshops, the children will learn many methods of artistic expression including sculpture, aquarelle and acrylics. The aim of this project between MARTE and CAFRED is to augment the school curriculum by giving options for special interest courses on Saturdays to keep students engaged. Self-expression through the arts is a very helpful tool in building self-esteem and it helps us to understand the reality of each child and the concept of society that each child has. 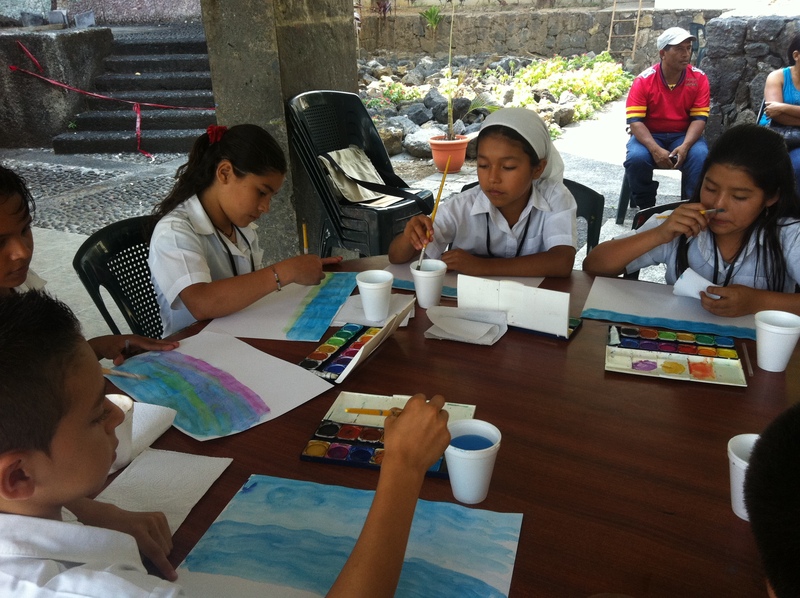 In this first class, the children worked with oleum inspired by a painting in the museum by Roberto Huezo. They could paint whatever they wanted and the last touch was to apply drops of aquarelle on the paper and to blow on it with straws. This technique can help the kids on make their own signature to their creations. 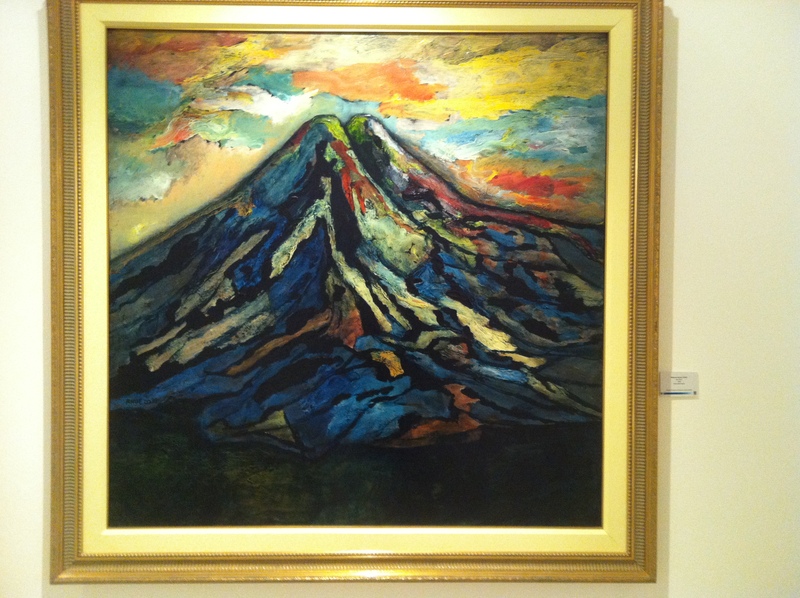 Visiting Salvadoran artist, Simón Vega, explained that creativity can help to give lots of solutions for developing countries such as our own. He explained to us the importance of building upon the creativity and imagination of children, so they can come up with creative solutions in their own lives and in society at large. Absolutely fabulous! What a wonderful experience for the children. Wish I could have been there. Great work Saul!